Asia Pacific International School uses the Standard Application Online (SAO). 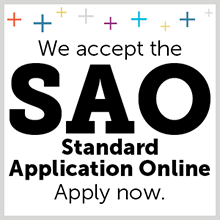 To learn more about using the SAO and begin your application, click on the button below. Asia Pacific International School admits students of any race, color, national or ethnic origin to all the rights and privileges, programs and activities generally accorded or made available to students at their schools. They do not discriminate on the basis of race, color, national or ethnic origin in administration of their educational policies, admissions policies, scholarship programs, and athletic and other school-administered programs.